Compositions By Vojislav Ivanovic On tonebase | Learn compositions by Vojislav Ivanovic from the world's best guitarists! Browse all lessons on compositions by Vojislav Ivanovic. Use the search bar to filter the lessons by instructor, title, difficulty, etc. 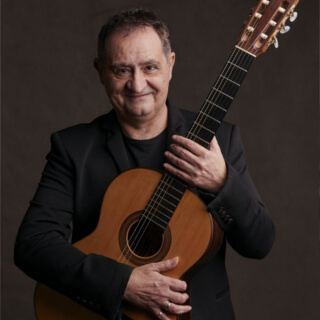 Music of Vojislav Ivanović, guitarist, composer and improviser, has been described by critics as "superbly written" and "indescribable but indescribably delicious". His unique style, which utilizes elements of contemporary classical, traditional and jazz music is being said to "have an organic plasticity to it that expresses hundred percent life experience". Currently he is teaching guitar at the Music Academy of East Sarajevo.